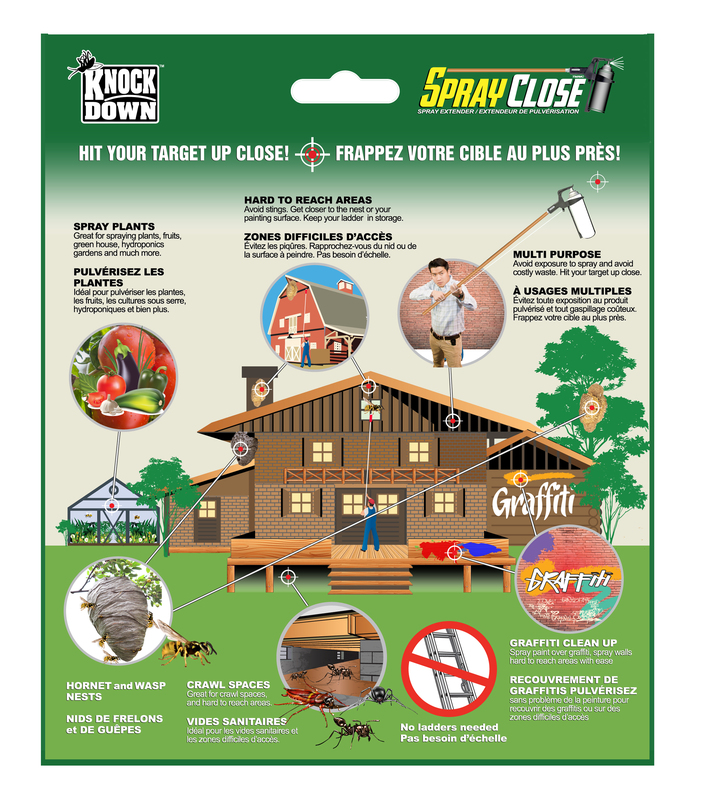 KD500S – KNOCK DOWN – SPRAY CLOSE SPRAY EXTENDER – KUUS Inc.
Spray wasp and hornet nests too far to reach with wasp spray. 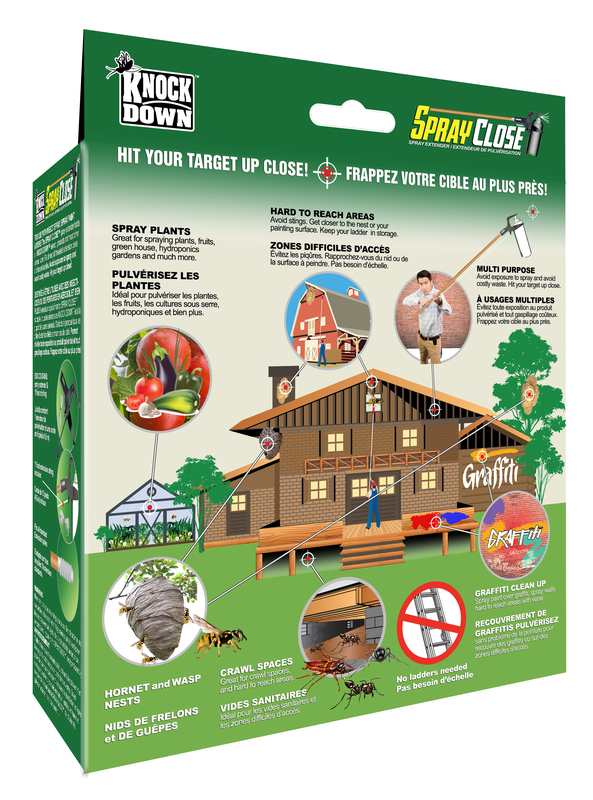 Spray in-ground or other horizontal nests accurately and from a safe distance. Paint distant objects, flag poles, shutters, gutters, cover up graffiti … etc. Fits most aerosol can sizes & trigger tops. Convenient to use – just attach to your extension pole or threaded broom handle. 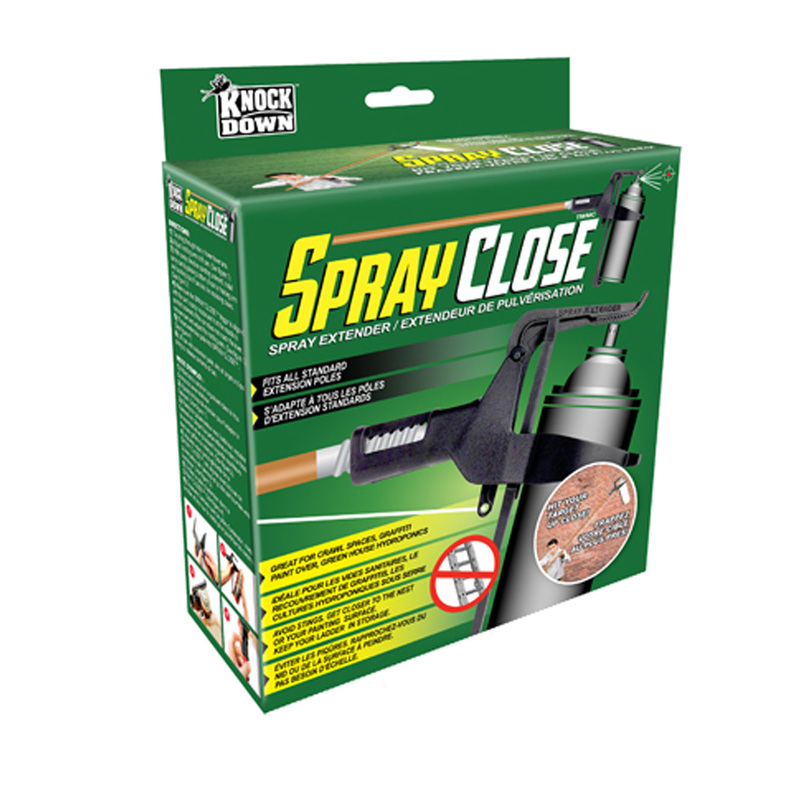 Reduce the amount of spray used and hit target accurately. Ability to aim and target spray exactly at entrance of nest. 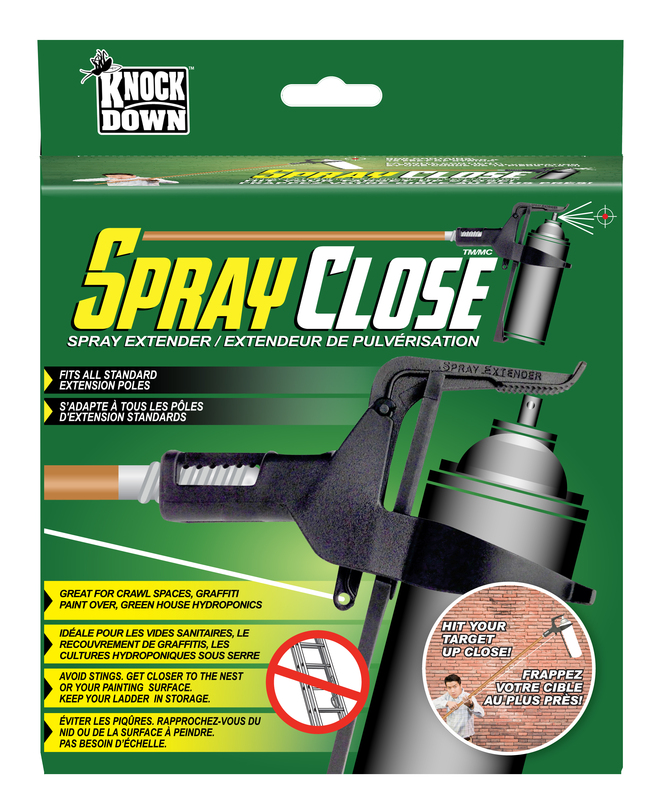 Extends the reach of foaming sprays which typically do not spray long distances. Stay a comfortable and safe distance from the nest.